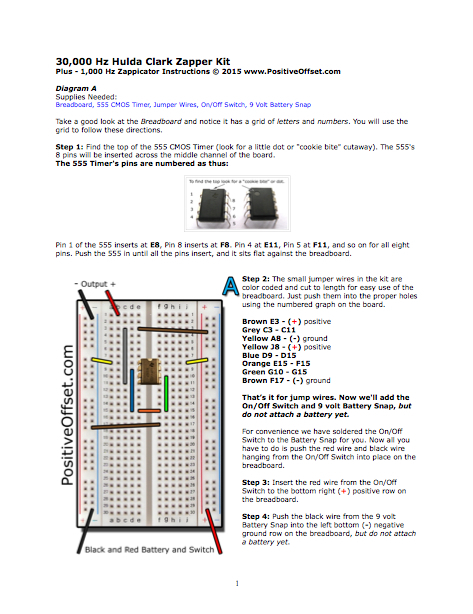 Download full-color instructions to help you build either a 30,000 Hz or 1,000 Hz Hulda Clark Zapper. The PDF download will be accessible to you as soon as you complete your order. Visit ClarkZapper.net for step-by-step video instructions for building the Hulda Clark Zapper.